To investigate the feasibility of prediction for targeted therapy-related gene expression in hepatocellular carcinoma (HCC) using preoperative gadoxetic acid-enhanced magnetic resonance imaging (MRI). Ninety-one patients (81 men, mean age 53.9 ± 12 years) with solitary HCC who underwent preoperative enhanced MRI were retrospectively analyzed. Features including tumor size, signal homogeneity, tumor capsule, tumor margin, intratumoral vessels, peritumor enhancement, peritumor hypointensity, signal intensity ratio on DWI, T1 relaxation times, and the reduction rate between pre- and post-contrast enhancement images were assessed. The operation and histopathological evaluation were performed within 2 weeks after MRI examination (mean time 7 days). The expression levels of BRAF, RAF1, VEGFR2, and VEGFR3 were evaluated. The associations between these imaging features and gene expression levels were investigated. Tumor incomplete capsules or non-capsules (p = 0.001) and intratumoral vessels (p = 0.002) were significantly associated with BRAF expression, and tumor incomplete capsules or non-capsules (p = 0.001) and intratumoral vessels (p = 0.013) with RAF1 expression. There was no significant association between the expression of VEGFR2, VEGFR3, and all examined MRI features. Multivariate logistic regression showed that incomplete tumor capsule (p = 0.002) and non-capsule (p = 0.004) were independent risk factors of HCC with high BRAF expression; incomplete tumor capsule (p < 0.001) and non-capsule (p = 0.040) were independent risk factors of HCC with high RAF1 expression. The presence of incomplete capsule or intratumoral vessels and the absence of capsule are potential indicators of high BRAF and RAF1 expression. Gadoxetic acid–enhanced MRI may facilitate the choice of gene therapy for patients with HCC. • Incomplete tumor capsule and non-capsule were independent risk factors of HCC with high BRAF and RAF1 expression. • The presence of intratumoral vessels was a potential indicator of high BRAF and RAF1 expression. 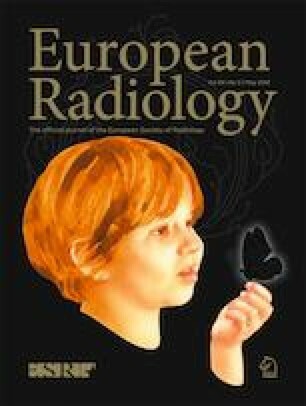 • Gadoxetic acid-enhanced MRI may be a predictor of efficacy of treatment with sorafenib. Zhi Dong and Kun Huang contributed equally to this work. The online version of this article ( https://doi.org/10.1007/s00330-018-5882-4) contains supplementary material, which is available to authorized users. This work was funded by the National Natural Science Foundation of China (81771908, 81571750, 81770654). The scientific guarantor of this publication is Zi-Ping Li.